Rooted in rhythm-and-blues pioneered by black musicians, 1950s rock and roll was racially inclusive and attracted listeners and performers across the color line. In the 1960s, however, rock and roll gave way to rock: a new musical ideal regarded as more serious, more artistic-and the province of white musicians. 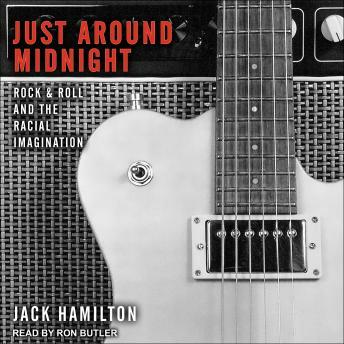 Decoding the racial discourses that have distorted standard histories of rock music, Jack Hamilton underscores how ideas of 'authenticity' have blinded us to rock's inextricably interracial artistic enterprise. According to the standard storyline, the authentic white musician was guided by an individual creative vision, whereas black musicians were deemed authentic only when they stayed true to black tradition. Serious rock became white because only white musicians could be original without being accused of betraying their race. Juxtaposing Sam Cooke and Bob Dylan, Aretha Franklin and Janis Joplin, Jimi Hendrix and the Rolling Stones, and many others, Hamilton challenges the racial categories that oversimplified the sixties revolution and provides a deeper appreciation of the twists and turns that kept the music alive.